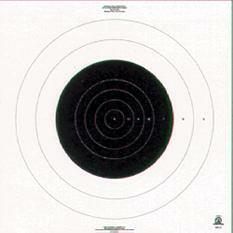 Some of the most common targets used are outlined below. This is not a complete list, but are the typical, and most commonly, used targets for AIHPA meets. 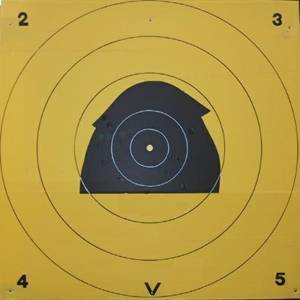 Scaled/reduced size targets allow for shooting at distances closer than specified for the course of fire. 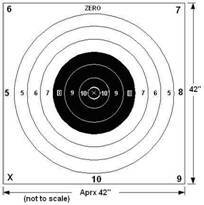 Further information on these targets may be found in the NRA HPR rulebook. 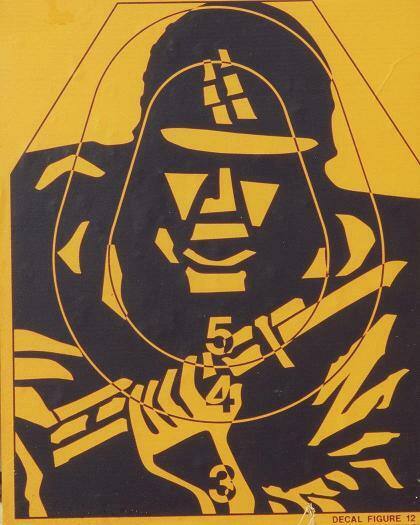 PURCHASE & PRICES of targets, Click Here (Merchandise page). Remainder target value is zero. 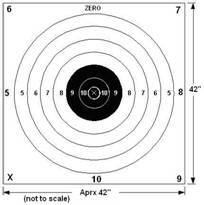 O/All approx 40" x 42"
O/All approx 21" x 24"
O/All approx 28" x 28"
O/All approx 35" x 35"
Note: For Australian Clubs, these X-ring targets are available from AIHPA for a nominal fee. Contact AIHPA for quantities, costs and shipping arrangements. See Merchandise for pricing.. Type B 4x4 with Figure 12. Type B represents 8" (200mm) scoring ring convention. 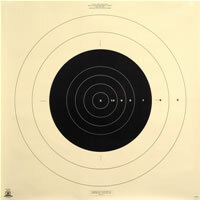 O/All approx 18.5" x 45.5"
O/All approx 18.5" x 23"
Type C 4x4 with SSAA aiming mark. Type C represents 6" (150mm) scoring rings. 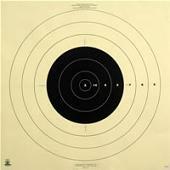 Type C SSAA target available from SSAA Queensland.